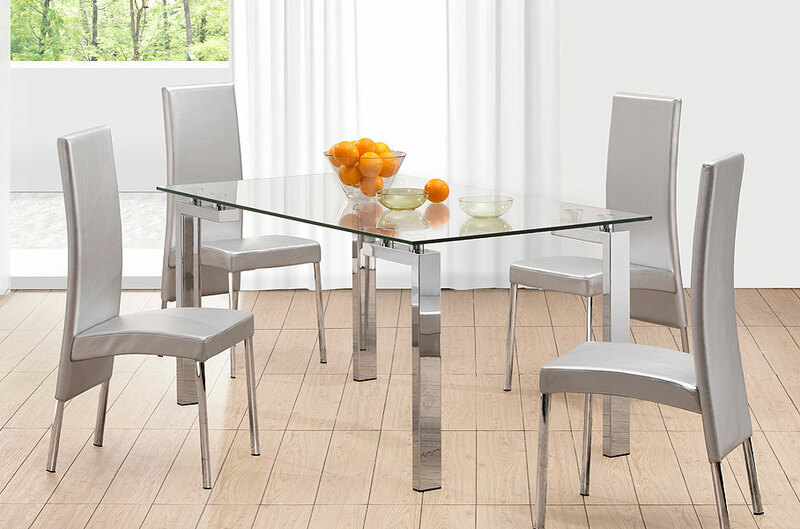 The Roseville Dining Table is designed around strong architectural lines. 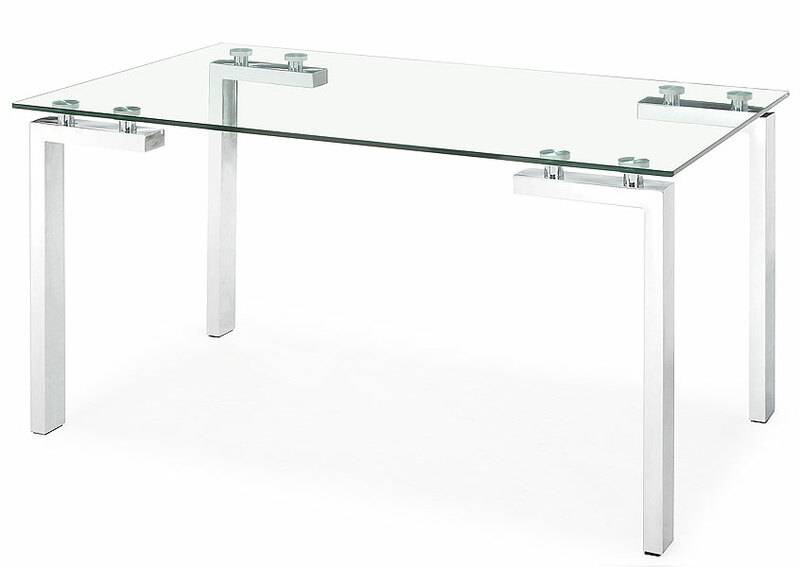 Designed and manufactured to withstand commercial use, Roseville begins with a 1/2" thick clear tempered glass top. 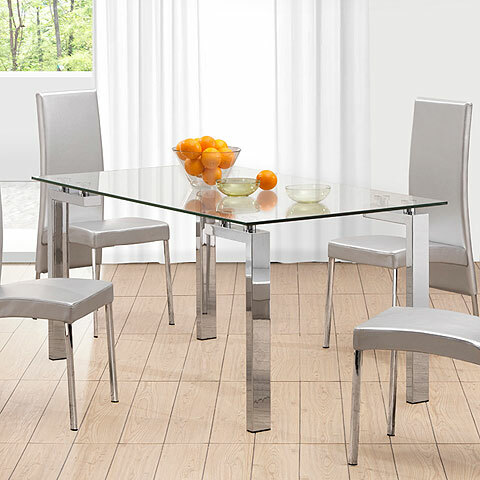 Beneath, four chromed stainless steel legs affix to the glass giving the Roseville Dining Table a modern and airy feel. 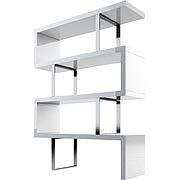 Seating up to six, Roseville is perfect for your modern dining room or kitchen, and it even makes a striking desk. 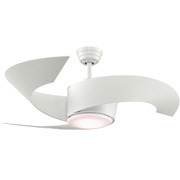 Warranted for commercial use with a weight limit of 100 pounds.